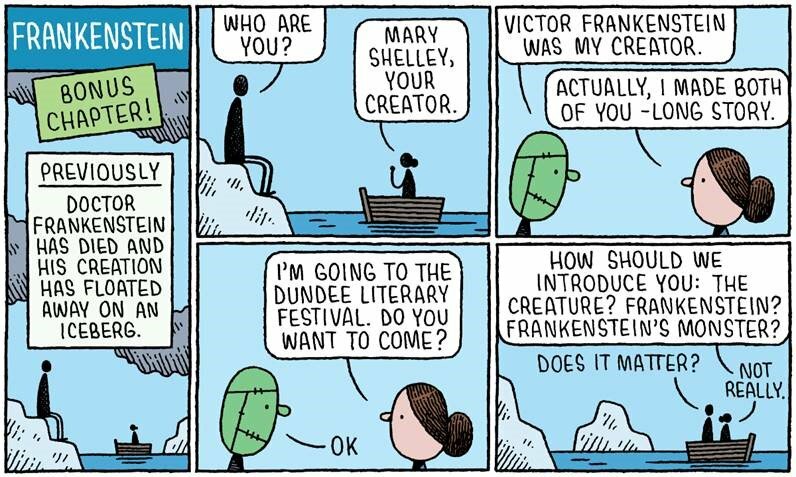 After two centuries, Frankenstein is the gift that keeps on giving. 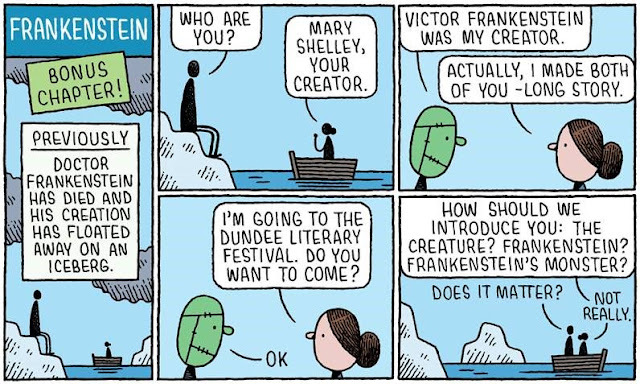 This reminds me of Aldiss' "Frankenstein Unbound". And Steven Utley's fun pastiche, "Black as the Pit, From Pole to Pole".